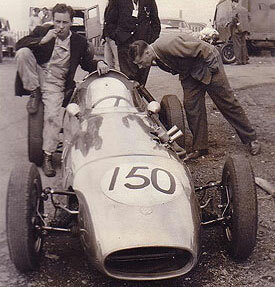 Graham Warner, the principle of highly successful car sales company The Chequered Flag Car Sales in Chiswick High Rd, London was the man behind The Chequered Flag engineering company, the constructors of the Gemini Racing Cars. Warner aside from selling Sports cars to the local London market shipped a considerable number of these cars to the burgeoning North American market. 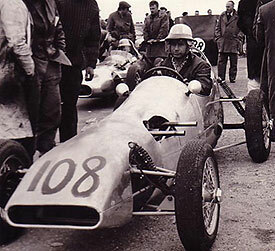 Warner a former RAF pilot was familiar with motor racing having in 1958 started in club racing with AH100S and Lotus 11 followed by a Tojeiro-Bristol and Cooper Monaco 2 litre was bought. The Cooper (on its first race practice) was crashed by team mate Percy) so Warner took his own personal Lotus Elite (147VMK) into the team. The car was subsequently painted White with broad black stripe front to rear which subsequently became the Chequered flag racing colours. The Elite was however unsuccessful and rarely finished. On appointment of New Zealander, Brad Ward as Warner’s competition mechanic, the car was found by Ward to have been poorly maintained by Warners previous mechanic so Ward set to and completely stripped and rebuilt the car. Amongst other things Ward removed “pounds and pounds of sand” from the doors. 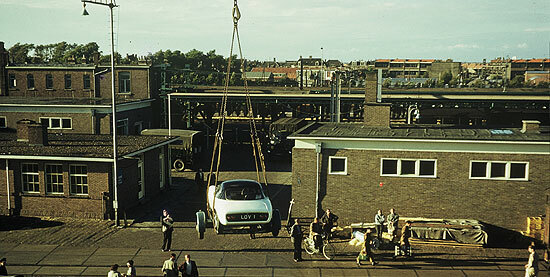 The car was found to be an early production model displayed at the Earls courts motor show car by Lotus and they had put the sand in the doors to give the doors a solid clunk sound when shutting. Lov 1 loading for Europe. 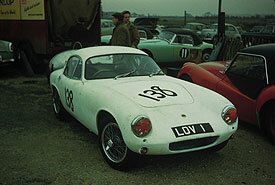 By 1959 after rebuilding the Elite, soon to have the plate, LOV 1 and in the hands of Warner the car was raced throughout UK and Continent to became the most successful Elite’s with over 30 class wins and 24 overall wins. The origins of the Gemini Formula Juniors constructed by The Chequered Flag lay in the Moorland Special, a Formula Junior drawn up and constructed by Leslie Redmond, very early in 1959 initially from a set of basic drawings and layout supplied by Len Terry. 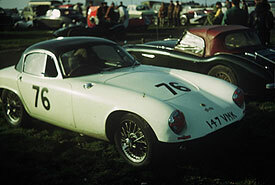 The subsequent Moorland Mk 2 first competed in the 12 July 1959 Brands Hatch BRSCC meeting then subsequently on the 3 August 1959; Brands Hatch, August Bank Holiday meeting, winning the 5 lap FJ division and fastest lap with Ian Raby as driver. Warner was in negotiation with Redmond on taking over the Moorland design and by mid August Warner of the Chequered Flag Garage had acquired the Moorland and formed a new company Chequered Flag Engineering with the new car, to be called the Gemini after Warner’s birth sign. 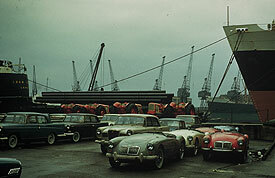 Cars were constructed in a mews behind Cliff Davis Cars in Shephards Bush with subsequent production moved to premises under some railway arches further down the road towards Sheppards Bush. 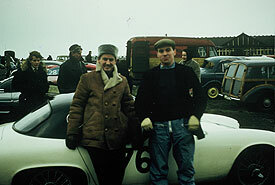 1960 : Graham Warner continued with great success in the Elite and Chequered flag to build Gemini Mk II FJs. The Mk II was a great success, particularly in the states with the newly appointed US distributor, Bill Tannhaeuser of Auto Research placing orders and receiving deposits for 20 cars. 1961 : Even greater success with the Elite , over 30 firsts. 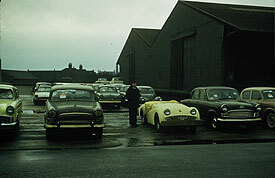 As was shown by the earlier Gemini MkIII , the subsequent Gemini MkIIIA’s were the only challengers to Cooper and Lotus. 1962 : Racing continued and the Gemini MkIV was developed. Although a very advanced car with inboard suspension and brakes, it was plagued with transmission problems. 1963 : CF now took on Elan’s and as with the Elite, the Elan was developed into a real track racer; Warner having many great duels with Sir J.Whitmore in the SMART car. The FJ project was handed over to George Henrotte with the Gemini Mk. IVa but production ended this year. 1965 : Racing on now with a Cobra by Roy Pike and Roger Mac, plus a great F3 season with Brabhams and drivers Roy Pike and Chris Irwin : 40 starts, 30 places, 17 wins, 7 seconds. 1966 : This year in F3 the officially Brabham works team with DAF variomatic transmission, 3 car team. Colours for the F3 , black underside and orange nose ,DAF Variomastic on each side, silver/black wheels.